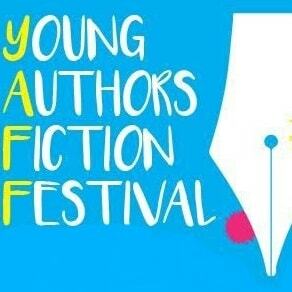 The deadline for the Young Authors Fiction Festival (YAFF) is fast approaching on Friday 30 March 2018 at 22h00. For writing inspiration, we will posting some of the winning stories from the 2017 YAFF. Here’s one that one 2nd place in 8th Grade/4ème. Escaping her governess’ claws was harder than she had initially expected. She was lucky her home’s gardens were enormous and her stamina considerable; she had managed to outrun the harsh madam and escape her prison. 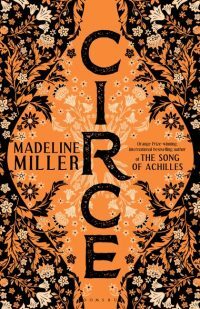 Maybe it was the fact that no one had noticed her sixteenth birthday which had propelled her, or the rebellious spark which had been blooming in her heart. She was a snow haired maiden, eyes like forged steel and lips unnaturally red. Kept like a precious diamond by her parents. She was dressed in dark flowing pants and a matching top, which made her every movement graceful. Before she knew it, she was out of the garden, her chest heaving. The city smelled like wood and steel, the stones beneath her feet were hard. The world she had always seen from behind windows was familiar, yet foreign. There were also voices, hoof beats and music. They echoed through the stone town, hit her in the gut. For a second she considered going back. The sounds were overwhelming, even scary for someone who had lived in silence all their life, who had bathed in hushed servants’ voice, but the wind turned and a sweet smell caressed her nostrils. It grew richer and fuller as she followed her instincts towards the city centre. She had heard of the Flower market in passing. It came every year for a week and traded life, she was told. She realised it couldn’t be described as anything else. It was clad in glorious colours, a forest of plants and people. The herbs danced in the warm afternoon air, humming songs from other realms. She disappeared in the crowd. No one noticed her. She felt normal. She halted before a counter. It held small trees whose leaves whispered, dark flowers made of night and day and soft bushes who purred at her touch. What had captured her attention was a shrub. Its branches were silver-white; its leaves were silky but sharp and held numerous buds. She reached out and caressed a leaf, jumping as the buds started to open, revealing beautiful deep pink flowers, their centres like never ending spirals. “Have you never come before?” It was a teenager behind the counter. He was her age, on the verge of being lanky. He had a tanned face, golden hair and brown eyes which tinkled with curiosity. She shook her head timidly, pretending to keep looking at the curious plant, neck burning. She was an only child, home schooled and therefore unused to talk with people her age. “It’s because they’re only given what they need to survive. They’ll only act alive if they feel alive.” He studied me. “How do I take care of it?” She barely contained her grin. “Sun, water and love. Nothing else. Just like any being!” His laugh rung her hears well after he left to take care of another customer. It only hit her then that one of the key principles of trade was giving and then taking in return. So she took her river diamond bracelet and left it next to the cash machine. “There she is!” She heard a distant cry on the market place. The crowd parted to let two guards on horseback through. They stopped in front of her, nearly knocking her over. “Princess Karma. Come back immediately.” One of them ordered. Karma glanced around her; she at was the centre of attention. Gasps rung through the crowd. Tears stung her eyes as she held the Velais to her chest and let herself be placed on a mare.